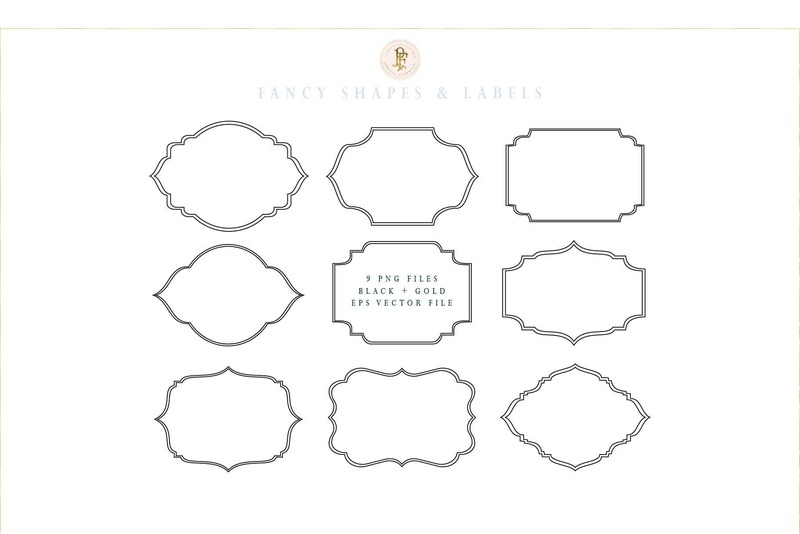 A pretty set of fancy ornate frames & label shapes perfect for logo designs, stationery, website, cards, invitations, pictures,... for all your designs. 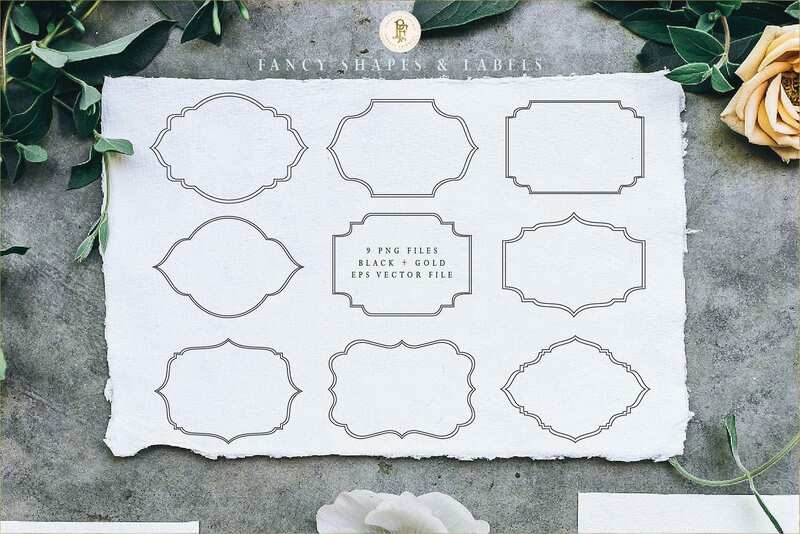 What's Included: • 9 frames , each as a .PNG (transparent background) in a zip folder. • EPS vector file (adobe cc required) to change size + colors. • 300 dpi high resolution files! All artwork created by Freshmint Paperie for you to use for your own personal / small commercial use. INSTANT DOWNLOAD: You will get your files immediately after purchase!